Ruchikala cooks for a wide variety of tastes ranging anywhere form authentic regional Indian cuisine to Mexican fusion to rustic Italian. If you’re an adventurous eater, a Ruchikala in-home catered dinner party is a real treat. Care to host a dinner? All we’ll need is your kitchen to create a culinary journey for you and your friends. Entertaining guests is an opportunity to warm your home with laughter, love and most importantly inspiring eats. However, the pressure to cater to a wide range of needs and pallets makes creating an impressive party menu daunting and downright exhausting. Ruchikala works hard so that you, the host, can enjoy your event while we set the culinary scene! Ruchikala passionately prepares the meal in your own home, leaving your kitchen clean so that you are free to enjoy your guests. We believe that providing your friends and family with delectable eats is the foundation of a successful gathering, and Ruchikala’s unique menu options will be an experience like no other. Dinner parties start at $200 plus the cost of food. This typically covers a three course meal for up to 4 guests. Each additional guest is an extra $25 dollar service fee. Contact chef@Ruchikala.com for more details. Buffet style dinners of 12 (+) are priced at a discount. Contact chef@Ruchikala.com for more information. Limited full service catering is available for rental and hourly fee. Are you available dec 26 for an in home dinner? Hi Jane! I am available for sure – but available in Portland. I won’t be back in Tucson until late February early March. 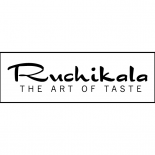 Feel free to email me at – chef@Ruchikala.com I’d love to talk to you about specifics. Aw! Thank you SO much Jillian! 🙂 So great to meet you!